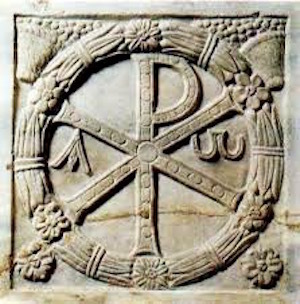 Ancient Chi Rho carved relief in Rome. Constantine is famous for his conversion to Christianity after the battle of the Milvian Bridge where he defeated emperor Maxentius. Before the battle, he saw the words "In Hoc Signo Victor Eris" (which in english means “By this sign you shall conquer”) emblazoned on the sun around the Chi Rho, the symbol of Christianity. After placing this symbol, or Christogram, on the shields of the army, he defeated Maxentius and became Emperor. He also moved the capital of the Roman Empire from Rome to Constantinople (which is now modern-day Istanbul) establishing the foundation for an Empire that would last another 1000 years. He died in 337 and his sons divided the Roman territories, each taking one to rule. Due to this division of rule, the Constantinian Era produced various coins. Interestingly, it was a Roman custom to make these coins with the image of the current emperor and his family members-- each members’ coin having a different monetary value with the Emperor always being the most valuable. The coins also usually have a religious or governmental symbol on the other side, however the religious symbols are not always Christian despite it being the official religion of the empire. Most of the coins from the Constantinian era are found throughout modern day Turkey, and are occasionally recovered via shipwreck. 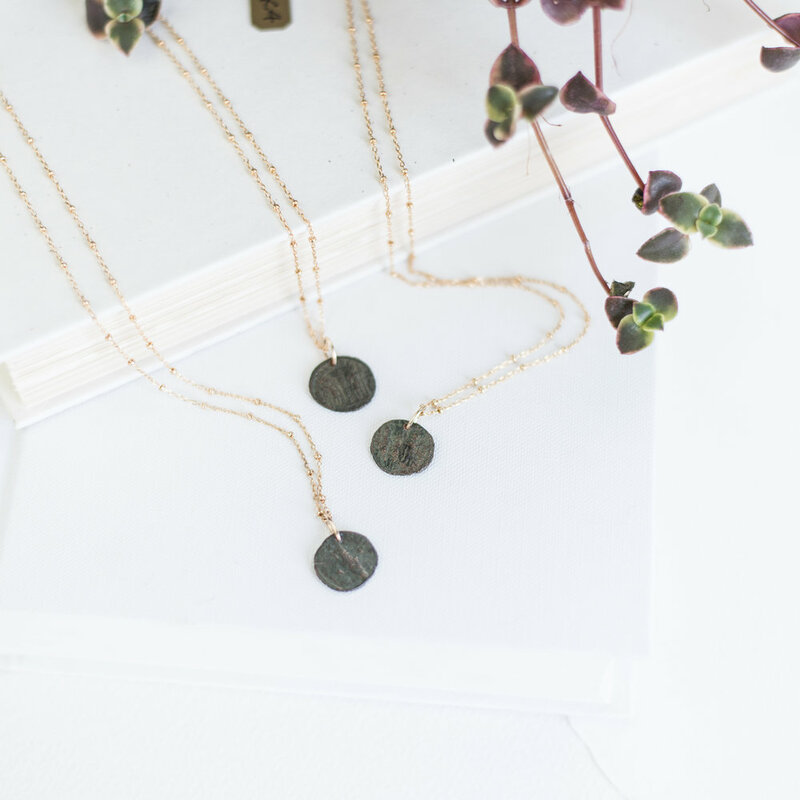 The Constantine Coin Necklaces featured on Glen & Effie’s website are from a shipwreck off the Turkish coast!